With more than 365,000 customers in 180 countries, SAP is often referred to as the “heart and lungs” of business operations, managing everything from Processes and logistics to HR and Finance. The SAP cloud migration market is heating up, driven by enterprises moving to SAP HANA and S/4HANA, the latest version of the company’s in-memory database and application suite. Faced with a significant capital expense to refresh and upgrade on-premise hardware to support the new database and applications, the time to move SAP to the cloud is now. SAP Hana delivering Return on Investment- Initially businesses struggled to achieve measurable ROI with SAP Hana. However now, this is no longer the case. 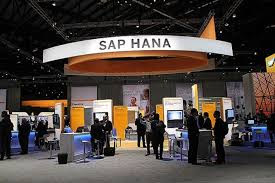 Studies reveals that 68% of Hana projects are now achieving ROI for the business. Interestingly, organisations are mostly achieving ROI through Cloud-based IT services, with the majority of Hana deployments being hosted in the Public Cloud. In fact, 88% of production Hana instances are in the Public Cloud versus 79% of non-production data.